Former Italian Prime Minister Silvio Berlusconi leaves a Catholic hospice in Cesano Boscone on May 9, 2014, after serving his first day of community service for tax fraud. He was a flamboyant, alpha-male billionaire who said things no career politician ever would — someone who promised to use his business savvy to reform the system and bring back jobs. Voters believed that his great wealth insulated him from corruption, because he couldn't be bought. But his administration was marked by criminal investigations and crony capitalism. Italian Prime Minister Silvio Berlusconi was — until Donald Trump came along — the best known example of a certain type of wealthy businessman who decides to go into politics, promising that, as an outsider, he is uniquely qualified to shake up the system, says Darrell West, vice president of governance studies at the Brookings Institution. "Most of the time, they win, and for exactly the same reason that Trump did, which is [that] people like business people. They think they know how to create jobs and run the economy. It's a kind of white-knight phenomenon," West says. In the former Soviet republic of Georgia, Bidzina "Boris" Ivanishvili formed his own political party and was elected prime minister in 2012 after the sitting leader threatened to join NATO, West notes. At the time, Ivanishvili was worth more than $5 billion, about a third of his country's annual economic output. Other immensely wealthy people who have been elected to office include Ukrainian President Petro Poroshenko and former Thai Prime Minister Thaksin Shinawatra, as well as regional and local politicians in Austria, France, Australia and the Philippines. Many of these politicians succeed by assembling unconventional coalitions and displaying a willingness to think outside the box, West says. But in some cases, their immense wealth can become a problem. "Over time, people notice that they're not separating their personal businesses from the government," West says. "There is corruption. Their friends are getting rich. And by the end, they almost always suffer a big fall in popularity." Thailand's deposed prime minister, Thaksin Shinawatra (left), and his wife, Pojaman, greet supporters on arrival at a court in Bangkok in July 2008. He was convicted on conflict of interest charges and lives in self-imposed exile. Berlusconi came to office bragging that his wealth made him incorruptible, says Alexander Stille, author of The Sack of Rome: How a Beautiful European Country with a Fabled History and a Storied Culture Was Taken Over by a Man Named Silvio Berlusconi. But the Italian leader had a history of bribery and corruption, and his business interests were a lot more tenuous than anyone knew, Stille says. 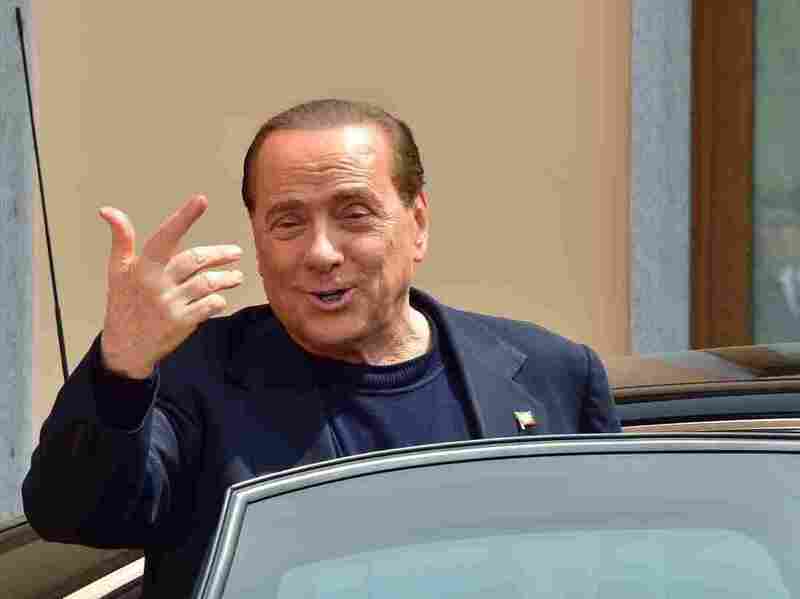 Once elected, Berlusconi set about trying to derail investigations into his conduct by rewriting Italy's penal code and giving immunity to business associates. He even made sure members of his defense team were elected to parliament, Stille says. "It was a situation where the conflict of interest was massive and entered into some of the most important business of the Italian state," Stille says. Despite numerous corruption investigations and trials, Berlusconi clung to power for nine years total, resigning in 2011 after his party lost a parliamentary majority. He has since been convicted of tax fraud and abuse of power, though the latter conviction was subsequently overturned. The Berlusconi case illustrates what happens when politicians can pursue policies that benefit them financially, and underscores the need to set up strong firewalls between elected leaders and their business interests, says Meredith McGehee of Issue One, a group that works to get money out of politics. "Those places where you've had these kinds of businessmen as leaders and they have not taken steps to take care of these conflicts — their administrations have become bogged down in scandal," McGehee says. It also highlights some of the problems that could await President-elect Trump, who has said he will "separate" from his business operations, but so far provided no details. Trump transition team spokesman Jason Miller said Tuesday that the president-elect sold all his stock holdings in June. A federal disclosure form Trump filed in May suggests his shares were worth tens of millions of dollars, a fraction of his multibillion-dollar fortune, which is largely made up of commercial real estate and golf courses. Trump's business holdings are widely expected to become an ethics minefield, presenting the new chief executive with numerous conflicts of interest. McGehee notes that the United States has often held itself up as a paradigm of clean government, lecturing other countries about the need for strong bribery laws and an independent legal system. Even the appearance of conflict of interest by the Trump administration threatens to undermine that, she says. "The United States has been the shining light on these issues and has been respected around the world for how you deal with these conflicts," she says. "And I would hate to see us lose that leadership."